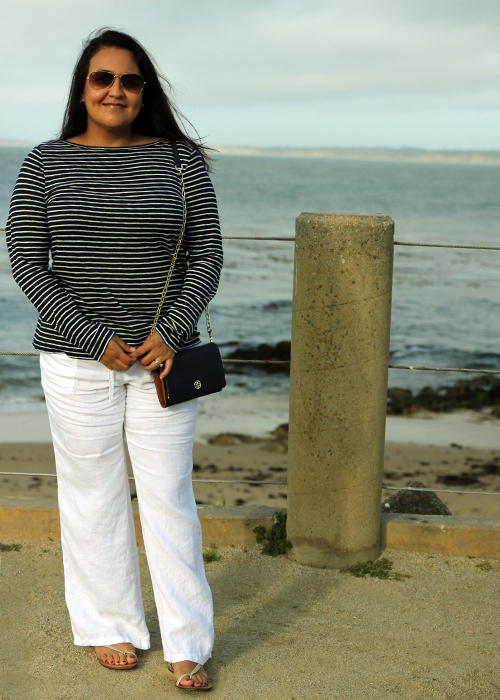 My husband and I took advantage of our first weekend alone since December and we went down the coast to Monterey and Carmel by the Sea last weekend. We were only there for a couple of days, but we always manage to pack as much as we can during our weekend adventures. 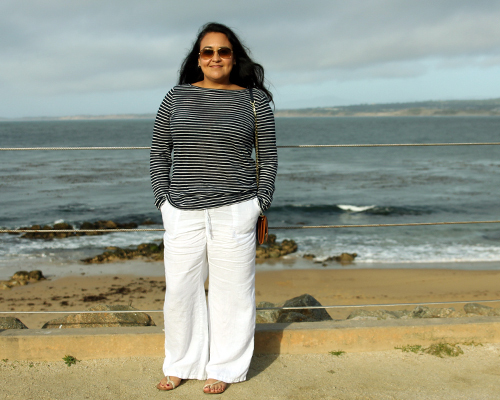 We drove down Saturday and stopped on the road to grab a bite before heading to our hotel in Monterey. When we arrived, I wandered around while he took a couple of calls and then we headed down to San Carlos Beach for a late lunch and to walk around the beach before heading back to the hotel to change into our KU gear to go into town to watch the NCAA Tournament. 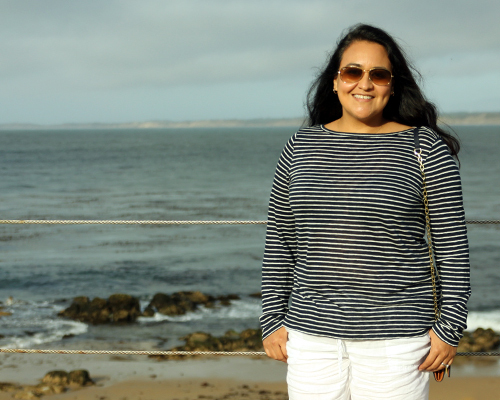 Even though our Jayhawks lost to Villanova, we walked around Cannery Row and had a great time. 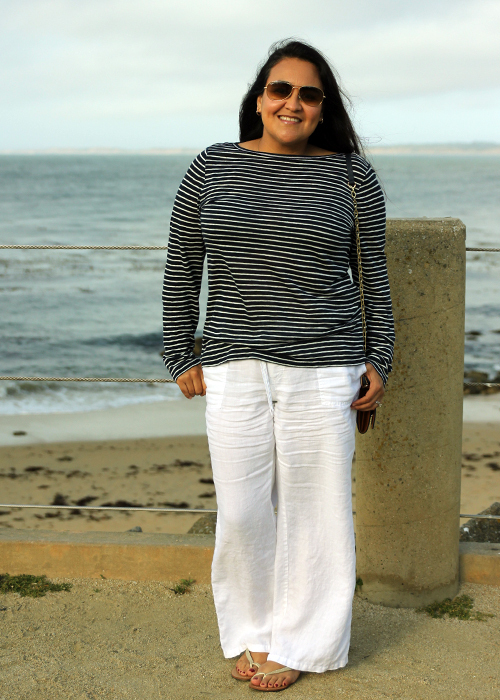 I wore all linen because I wanted to be comfortable on the road and while we were there. These pants are from Victoria's Secret and I've had them for a couple of year (last seen here) but I love them because they feel just like pajama pants! 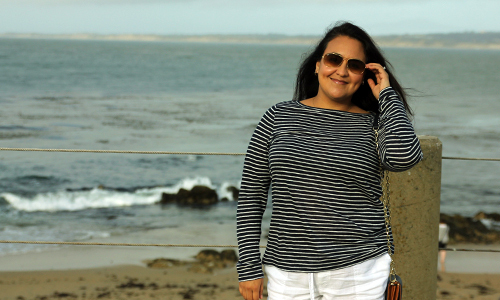 The top is a recent buy from J Crew (seen here earlier this month) and I've loved all the J Crew stripes this season.